Visiting Teijo national park and Niivermaki Nature Conservation Area will get you outdoors. 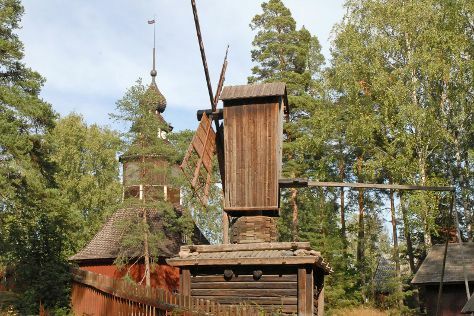 Museum-lovers will get to explore Seurasaari Island and Open-Air Museum and Kansallisgalleria. Venture out of the city with trips to Arboretum Mustila (in Elimaki), Porvoo (Porvoo Old Town & Castle Hill) and Hiidenvuori (in Iitti). Spend the 1st (Sat) exploring nature at Ekenas Archipelago National Park. Spend the 2nd (Sun) exploring nature at Nuuksio National Park. There's more to do: hike along Tulliniemi Nature Path. To find ratings, other places to visit, reviews, and other tourist information, you can read our Helsinki visit planner . If you are flying in from Canada, the closest major airport is Helsinki Vantaa Airport. May in Helsinki sees daily highs of 18°C and lows of 7°C at night. Finish your sightseeing early on the 2nd (Sun) so you can travel back home.